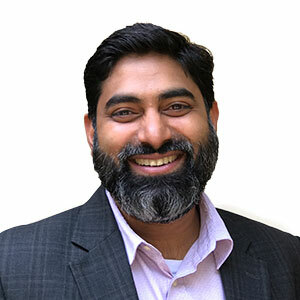 Anant leads the Capacity Building team at Dasra that works with NGOs at different stages of maturity to strengthen leadership, accelerate growth and build capabilities to enable them to achieve impact at scale. 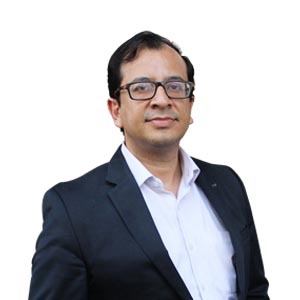 He comes with 18 years of dynamic experience across sectors, leading frontline marketing and sales at HUL to consulting with Accenture and Bain. Anant is passionate about applying skills learnt in the consulting space to support NGOs with strategy formulation and implementation to solve social sector issues. He has previously led Bain India’s Digital and Social Impact work in India, worked closely with the leadership at Magic Bus on strategy formulation, process design and execution which catalysed their “childhood to livelihood” program, helped Acumen India with strategic repositioning and enabling execution and currently serves as a board member for ATMA – an accelerator for NGOs that work to educate unprivileged populations. Over the next decade, Anant is hopeful to lead Dasra towards championing a set of field transformations, thus significantly addressing, at scale, several of India’s most critical challenges affecting her poor and at-risk citizens. He loves his afternoon weekend lunches and siesta and is a beginner level piano student. Anant has an MBA from Indian Institute of Management (IIM), Ahmedabad. Ananth is a Senior Advisor at Dasra and plays a key role in mentoring senior leadership, guiding key engagements with funders, NGOs and the Government and supporting the institution’s strategy and mission. 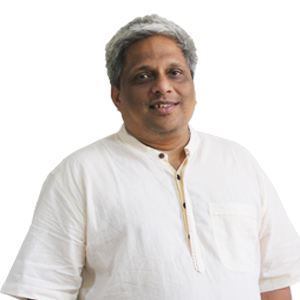 Ananth’s journey of change began as a teacher and educator at The School – Krishnamurti Foundation India where he developed India’s first curriculum for Environmental Studies at the ISC (STD XII) level and founded a social enterprise to enable underprivileged children go to college. Since then, he has charted the growth story of premier institutions, nurturing purpose-driven leaders and enabling organizations to scale. In his many leadership roles beginning from Head of Teacher Education at the Azim Premji Foundation, CEO of Greenpeace India, International Program Director of Greenpeace international to CEO of Amnesty International in India, he has made significant contributions towards building robust institutions to impact the development sector at large. In his most recent experience, he helped set up and scale Azim Premji Philanthropic Initiatives (APPI) as its CEO, guiding the philanthropic interests of the Premji family and making big bets on high-potential programs and organizations. Ananth has a B-tech in Electrical Engineering from IIT Madras. He has led Greenpeace India delegations to the G20, UNFCCC and other international platforms, and mentored CEOs for Amnesty International in countries like Brazil and Kenya. In his free time, Ananth likes listening to Carnatic music, play tennis and meditate. Neera’s first grassroots experience of rural India was with the day school for Adivasi children her mother set up near Kharagpur, West Bengal. That was also how she began to empathise with the lives of others, eventually transitioning from her investment banking job in the US to co-found Dasra in 1999, to accelerate social change by driving collaborative action among a trust-based network of stakeholders. 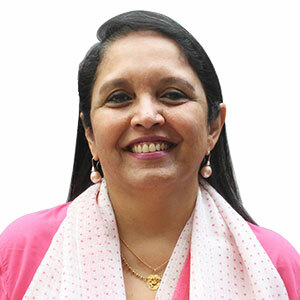 Neera leads Dasra’s ecosystem-building initiatives in the areas of Adolescents, Urban Sanitation, and Democracy & Governance and facilitates collaborative platforms by engaging donors, non-profits, government and other stakeholders. In 2016, she initiated the Dasra Adolescents Collaborative, an impact-driven platform that has united institutional funders, technical experts, government stakeholders from Ministry of Health and Family Welfare and several social organizations to focus on four key outcomes for adolescent empowerment. She initiated and led the launch of the Dasra Social Impact Leadership Program with Harvard Business Publishing, a first-of-its-kind executive education program for social sector leaders in India. Internally, she has supported the analysis of over 70 Dasra sector reports on education, health and livelihoods, enabling over USD 44 million in funding for hundreds of social enterprises. She has been critical in establishing partnerships with global leaders such as Harvard University, Stanford University, USAID, Omidyar Network and the Gates Foundation to push the boundaries of social impact in India. Closer to the ground, she has worked with Dasra's portfolio organizations such as Educate Girls, SNEHA, Sarathi and Aangan to refine their strategies and accelerate their growth by 10-20x. 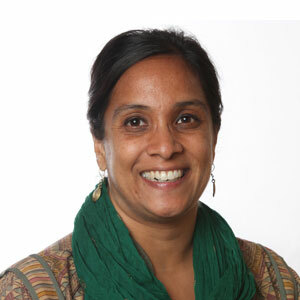 Neera holds a Master’s in Business Administration from Harvard Business School and is an Indian Leadership Fellow with Anantha-Aspen Institute. She is a recipient of the Canadian Governor General's Medallion for her dedication to addressing India’s critical development challenges, and the Forbes Philanthropy Award in the Crossover Leaders. A couple of years into his first job at Morgan Stanley in New York, Deval realized he wanted to be in India, to focus on the lives of the many millions that live without dignity and equity. So the Texas-born investment banker packed up, came to Mumbai, and co-founded Dasra. It’s very first workshop, for around 20 non-profit organizations working with children, was to support them in learning from each other – and this collaborative learning philosophy remains central to how Dasra functions even today - nurturing powerful partnerships among stakeholders across the spectrum – including government, donors, organizations, experts and the media. Deval leads Dasra’s strategic philanthropy efforts, and provides foreign and domestic philanthropists with informed investment strategies for the social sector – keeping human lives at the center of all of its thinking. Since 1999, he has directed over USD 72 million to the Indian social sector; incubated and launched the Dasra Philanthropy Forum and Dasra Philanthropy Week; initiated the Dasra Giving Circle, India’s largest collaborative giving platform; and launched the Dasra Changemakers program, a peer-led learning platform aimed at inspiring philanthropists to take bold action to solve some of India’s most pressing problems. Deval holds a Bachelor's in Business Administration with a dual Honor's degree in Business and Finance from the University of Texas, Austin, is a Cordes Fellow, and a founding board member of Magic Bus and Villgro. In 2014, he was awarded the Forbes Philanthropy Award in the 'Crossover Leaders' category for successfully transitioning from investment banking to the non-profit sector. Natasha leads the Strategic Philanthropy team, which partners with Ultra High-Net Worth and High-Net Worth individuals, Corporates and Family Foundations on their philanthropic journeys. The team also brings together stakeholders in the development sector together to place impact at the center of all decision making. Natasha has three decades of experience in financial services with a long record of driving business strategies, and a personal enthusiasm for business enhancement. Her experience in financial services covers both commercial banking and cash management transaction banking across industry segments including Consumer Brands, Retail, Insurance, Telecom, Technology, and Oil and Gas. She has also partnered with corporate clients to advance their social agendas. She has worked to build a platform between SEWA and Unilever to market products; engaged with the National Dairy Development Board to design a smart card for retail milk sales across all Mother Dairy milk booths in Delhi; was part of the core working group formed by the RBI to commercialize RTGS across India, and later helped in the creation of the National Payments Corporation of India; partnered with Mandeshi Cooperative to design and create a cash management system to service its rural borrowers; partnered with ITC to create a cash management system to service eChoupal HUBS and farmers in states across India. Natasha has a PhD in French Literature from the Sorbonne University in Paris. Dasra accelerates social change by driving collaborative action and powerful partnerships with funders, social enterprises and other key stakeholders. Annual Report 2017-18 is based on the theme ‘Impact First - Prioritizing Lives in Philanthropy'.